Vice President Mike Pence speaks at the White House on July 24, 2017 in Washington, DC. Vice President Mike Pence has turned over emails from private AOL.com accounts he used to conduct official business while he was Indiana's governor. The state's public records law generally requires state officials to preserve and make available correspondence or documents related to state business, with some exemptions. But Pence waited months to hand over the records — and only did so after his use of the private accounts was widely reported. 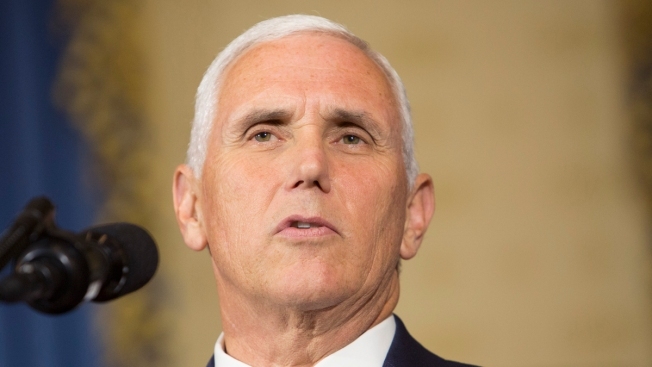 Attorneys for the vice president notified current Indiana Gov. Eric Holcomb's office in July that an electronic database containing the emails was handed over, Holcomb spokeswoman Jane Jankowski said. "We delivered to you a complete electronic production of state records that were in the custody of Vice President Pence from during the time that he served as governor," attorney Karoline E. Jackson wrote in an email to the Republican governor's office. The email states that Pence's attorneys also provided guidance on emails and documents they believe could be withheld from release. Vice President Mike Pence landed in Tokyo Tuesday to begin his visit in Japan, part of a 10-day Asia-Pacific tour. He later met with Japanese Prime Minister Shinzo Abe. Pence has touted himself as a champion of a free press and the First Amendment, though he repeatedly stonewalled public records requests as governor, often delaying their release if not denying them outright. Holcomb's office for months has been grappling with a backlog of roughly 50 public records requests from activists, political groups and news organizations, including The Associated Press. Some are more than a year old and most are seeking emails from Pence's private accounts. Pence provided 13 boxes containing paper copies of the emails in March when news of his use of the AOL.com accounts first drew scrutiny. But Holcomb's office said at the time that there were more emails that had yet to be provided. And Holcomb's office also sought electronic access to the emails, so they could be searched and reviewed much more easily. The state hired the Indiana law firm McNeely Stephenson in May to handle the crush of requests, entering a contract that could cost taxpayers as much as $100,000. Pence's AOL account was subjected to a phishing scheme in spring 2016, before Trump chose him to join the Republican presidential ticket. Pence's contacts were sent an email falsely claiming that the governor and his wife were stranded in the Philippines and needed money. 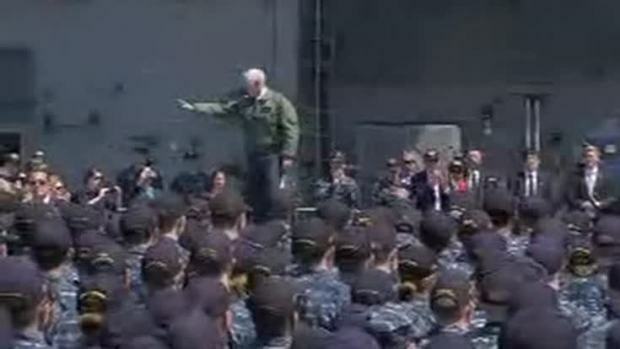 Vice President Mike Pence visited the aircraft carrier USS Ronald Reagan in Japan on Wednesday, speaking about the U.S. response to North Korea’s nuclear threats. But Pence spokesman Marc Lotter has said charges of hypocrisy are unfair because there is a big difference between the Secretary of State's correspondence about sensitive national matters and business conducted by a governor through a private emails address.